These easy baked salmon cakes are certain to become a regular in the Brighton Family Fish Friday rotation. When I was growing up, my parents would often make fish cakes on Friday. Fish cakes were one of my favorite “Fish on Friday” meals. Our fish cakes were made straight out of a can with some egg and breadcrumbs added to it to bind it together and then fried in margarine or oil. Ketchup on top. Yup. Oh, the memories! Alas, canned cod is no longer a thing and fish cakes haven’t been served in my house since, well, ever. 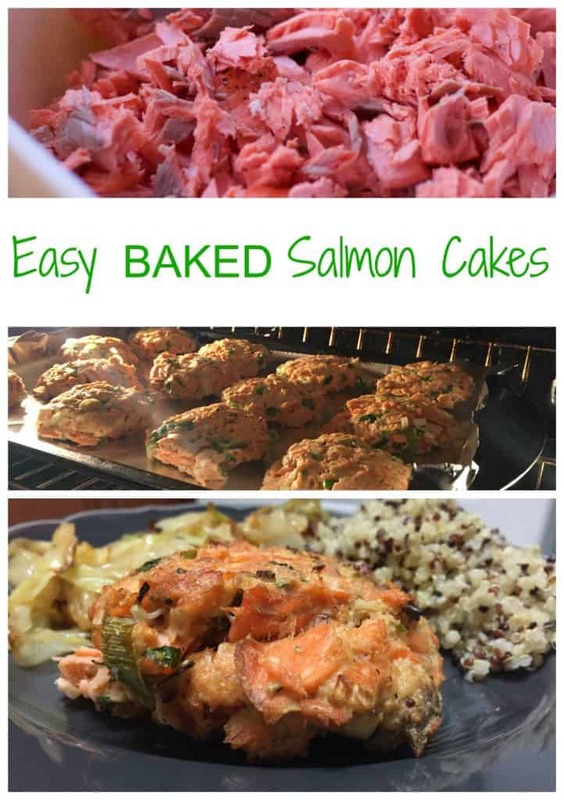 But, with these easy baked salmon cakes, the fishcake drought in my house is over. If you can bake salmon, you can make salmon cakes. 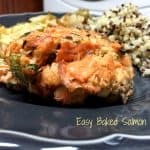 This meal works well if you bake the salmon ahead of time and it’s ready to go when you are ready to make a quick dinner. After you bake the salmon, all you need to do is flake it into small chunks and add mayo, mustard, chopped scallions, cilantro, breadcrumbs and eggs. Form into patties and bake! If you are wondering what type of salmon to buy, the short answer is DON’T BUY FARMED SALMON. You want to look for wild salmon. Farmed salmon doesn’t have as many nutritional benefits and the farmed salmon can be raised in crowded areas, fed substandard food, and given antibiotics. Just stay away. Salmon! So Good For You! 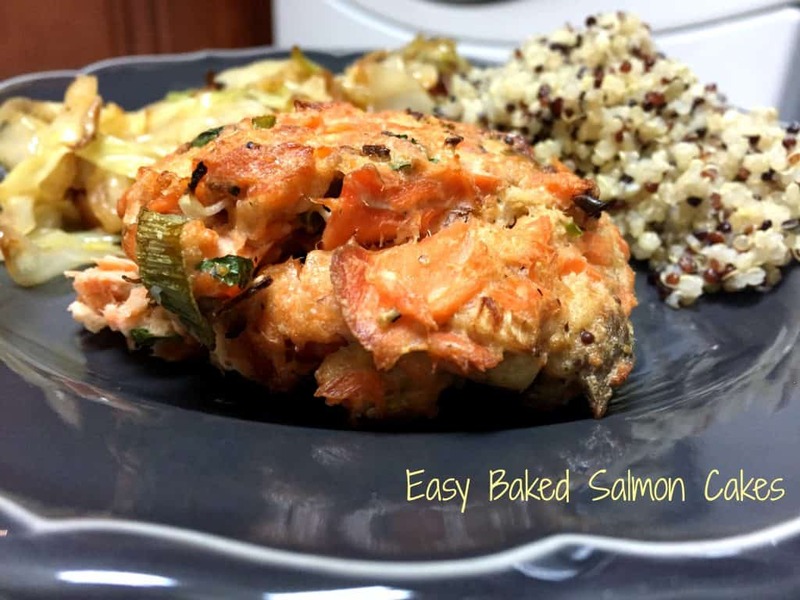 Easy Baked Salmon Cakes … Get the recipe! Salt and pepper the salmon. Bake at 350 degrees for about 15 minutes. Let it cool. 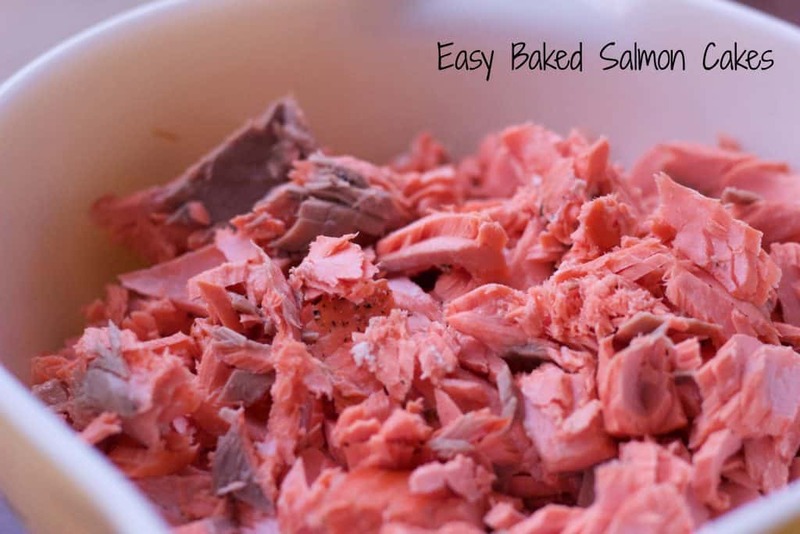 Flake cooked salmon into a large bowl. Add mayonnaise, mustard, scallions, cilantro, breadcrumbs, and egg. Combine with a large fork. Using your hands, form into salmon cakes. Space out evenly on a foil lined cookie sheet. Bake at 425 degrees for 10 to 15 minutes.